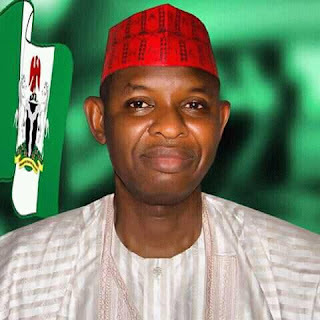 The National leadership of the Peoples Democratic Party (PDP) backs the demands on the Independent National Electoral Commission (INEC) to cancel the March 23 Kano state Supplementary election following the disruption of polls and bloodletting by the All Progressives Congress (APC). INEC is already aware that the Police arrested the Kano State Commissioner for Special Duties, Muktar Yakasai alongside APC thugs he led to disrupt election in Yelwa in Dala Local Government area of the State. Also INEC is already aware of how APC thugs attacked voters in polling units in Gama area of Kano state during which four PDP members were feared killed and many more injured before they carted away ballot boxes for stuffing for the APC. The PDP cautions INEC to note that in this circumstance, any results they come out with from this convoluted electoral process will be a sham and will surely be rejected by the people of Kano state. It is completely reprehensible that the APC and Governor Abdullahi Ganduje would resort to violence and bloodletting as a means to attempt to hold on to power after they have been rejected by the people. The PDP invites Nigerians to note that our party grew democracy for 16 years without watering the quest for power with the blood of the innocent as the APC has done in the 2019 general election. The PDP therefore charges INEC to save the nation from crisis by cancelling the Kano Supplementary election, as failure to do so is not in the best interest of our dear nation.